Home Mitsubishi Lancer Evolution Mitsubhishi is recalling the 2014 Lancer Evolution vehicles for a Power Steering Pressure Tube may Chafe. 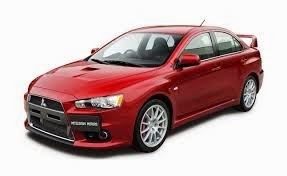 Mitsubhishi is recalling the 2014 Lancer Evolution vehicles for a Power Steering Pressure Tube may Chafe. Want a new Mitsubishi Lancer or other Mitsubishi Vehicle?